If you are considering home health services, it is understandable that you would have many questions concerning the services provided by The Doctor’s Choice. The following frequently asked questions and their answers can help you better understand the advantages our service provides. To learn more about how our highly-trained, certified, and licensed nurses, therapists, and medical professionals can help you or a loved one with a comprehensive range of health and domiciliary needs, please do not hesitate to contact The Doctor’s Choice in Los Angeles. Let us ensure that you or someone you love can reach his or her full potential and independence while remaining at home. Contact us online or call (855) 857-0797 to schedule a consultation today! Q. What are Home Health Services? A. Home health services cover a wide range of personal care services performed within the patient’s home. It is a convenient and cost-effective alternative to receiving comparable care at a hospital, assisted living facility, nursing home, or rehabilitation clinic. These services may be covered by Medicare, Medicaid, or other insurance plans. In order to receive medical care, it is necessary to first receive a doctor’s referral. Non-medical care, such domiciliary care, does not require a referral, however. It is important to discuss you or your loved one’s needs to ensure that we can provide comprehensive care, such as in-home nursing, physical therapy, occupational therapy, medication management, IV therapy, wound care, and companionship. We work closely with every patient to ensure that he or she receives the best registered nurse, licensed therapist, experienced caregiver, or companion to suit his or her needs. Q. Who Would Benefit from Home Health Service? A. The Doctor’s Choice home health services are intended to provide patients of all ages and their families with high-quality personal care in the privacy and comfort of home. Whether an individual has suffered an injury, illness, disability or the affects of aging, we can provide the appropriate services to assist him or her and work to restore as much independence and self-reliance as possible. Receiving home health services not only reduces the risk of readmissions to the hospital, it also improves a patient’s ability to heal and gives his or her loved ones the peace of mind and respite of knowing a qualified healthcare provider is available for their loved one. To discuss whether you or your loved one would benefit from our personalized services, please do not hesitate to contact us! Q. Why Should I Choose The Doctor’s Choice? A. The Doctor’s Choice is committed to providing the highest-quality professional medical and personal care from the comfort and convenience of our patients’ homes. Every healthcare professional, therapist, home health aid, and caregiver has been carefully screened to meet our standards of excellence, education, compassion, and skill. We continually evaluate our staff members’ performances to ensure that our patients receive exceptional care. We believe that regardless of an individual’s health or abilities, you or your loved one deserves the dignity and security of remaining at home while also receiving the best medical and personal care available. Rather than having to pay for extended hospital stays or relocating to an assisted living facility or nursing home, The Doctor’s Choice allows patients to receive needed assistance without the distraction or stress of leaving home. Many studies have proven that being able to remain at home can actually improve a patient’s recovery times, emotional and psychological well-being, and overall quality of life. Q. 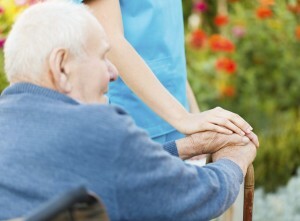 How Do I Pay for Home Healthcare Services? A. Depending on your eligibility, Medicare, Medicaid, workers’ compensation, private health insurance, and veterans’ benefits may cover the costs of our home health services. We will coordinate with your insurance provider to determine your level of coverage. Alternatively, we also accept private payment. We hope to make the payment process as simple and convenient as possible and will work with you to reach an appropriate arrangement. 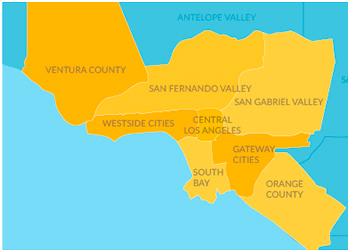 Contact a Los Angeles In-Home Healthcare Provider Today! To receive quality in-home health and personal care from our compassionate and dedicated team, please call (855) 857-0797 or email us at info@thedoctorschoiceagency.com.